I would like ideas on what I could do or different layouts available for JotForms. I am using a few forms and understand the basics but would like to see what advanced users have made. Is there a form template database? Thank you for the response. These seem to all be very basic, I was looking for something more. These more advanced template forms will be coming very soon, i will let you know. Everything almost done and wil be live in couple of days. In the nearest future we are going to introduce a Form Gallery, it comes with a lot of example forms that can be cloned into your account. 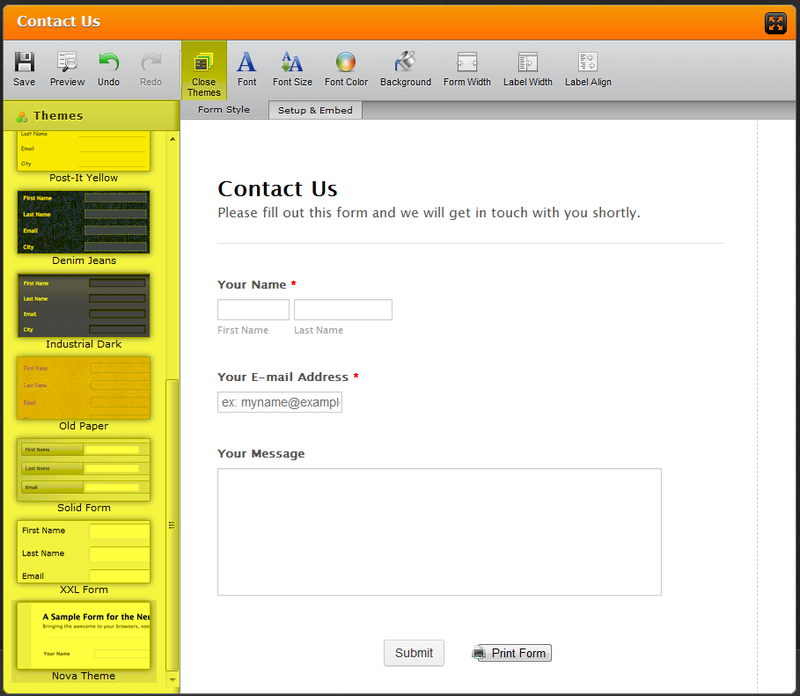 It is also possible to use different themes for your forms. Go to Form Style tab -> Themes.